When you’re on stage to give a persuasive presentation, you have a lot of variables to manage. The postings in this category teach you how to come across as a comfortable, confident presenter. I spend a lot of time studying rhetoric and the logic of giving a persuasive presentation. Many of my posts on this website deal with the content and organization of a good speech. I’ve written a bit about body language (here) and I can usually help a speaker feel comfortable in front of an audience. (That’s well over half the battle). 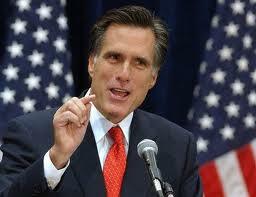 Today, however, let’s learn from the experts: Barack Obama and Mitt Romney. The New York Times has an excellent article, including interactive graphics, on gestures and movements that these orators make to emphasize points and to gain agreement with the audience. They both appear to be masters of the art — so take a peek here. In highly political situations, your ability to speak eloquently may actually work to your disadvantage. By speaking forcefully about a political objective, you may activate your friends but thoroughly energize your opponents. Your friends may support your objectives but without a great deal of energy. Your opponents, on the other hand, may be thoroughly alarmed by your presentations and highly energized to oppose your initiative. You can provoke a strong immune response from your opponents that can swamp even the best laid plans. This happens regularly in political situations — especially during election campaigns. When one side speaks for something, the other side is motivated to increase the volume when speaking against it. Even if it’s a perfectly logical proposal, the mere fact that one side is pushing it hard may cause the other side to push back even harder. Does this happen in business situations? All the time. But in business, the immune response is often cloaked. (In politics, the conflict is right out in the open — which may be healthier). If your business is highly political, you may find that speaking strongly for an initiative simply activates your opposition and weakens your position. If you think that’s happening to you, don’t stop speaking for your initiative but be sure to reach out to the opposition to look for common ground and areas of agreement. You need to make the first move — your opponents are not going to come to you. Look for private, face-to-face meetings with your opponents to clear the air and bridge the gap. You can learn more in the video. By the way, the book I mention in the video is Beyond Ideology: Politics, Principles, and Partisanship in the U.S. Senate by France E. Lee. You can find it here on Amazon. How nervous should you be when you start a speaking presentation? A little nervousness during a public speaking event can actually help you perform better. What does nervousness communicate to your audience? Mainly, it says that you’re taking them seriously and sincerely trying to do a good job. That builds credibility rather than reducing it. What should you do if you’re too nervous to make your presentation? Well, watch the video. 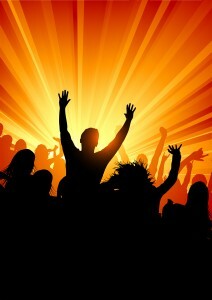 to establish that you are a trustworthy person and create a bond with the audience. One element of this is credibility — the audience wants to know that you have the practical experience to give good advice. So, in general, building your credibility also builds your trustworthiness. But if you build credibility the wrong way, you will reduce your trustworthiness and cripple your ability to persuade. Learn more in the video. Why is Warren Buffet’s Hair Messed Up? 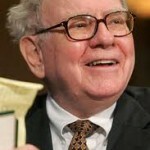 Every time I see Warren Buffet on TV, his hair looks like it hasn’t seen a comb in years. Surely he can afford a comb. So, why is his hair so messy? I’m guessing that it’s a subtle — but persuasive — effort to brand himself as a smart guy. Who do we think of when we think of smart guys? Albert Einstein. What did his hair look like? It was a mess. I think we’re supposed to conclude that Albert and Warren are so busy thinking deep thoughts that they don’t have time to think about their appearance. It’s a good branding strategy. So what’s your personal branding strategy? Find out more in the video.